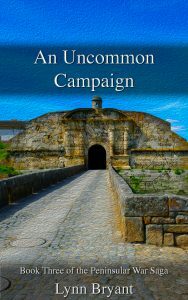 An Uncommon Campaign is book three in the Peninsular War Saga and centres around the battle of Fuentes de Onoro, as Wellington set out to capture the formidable border fortress of Almeida and chase the French out of Portugal entirely. 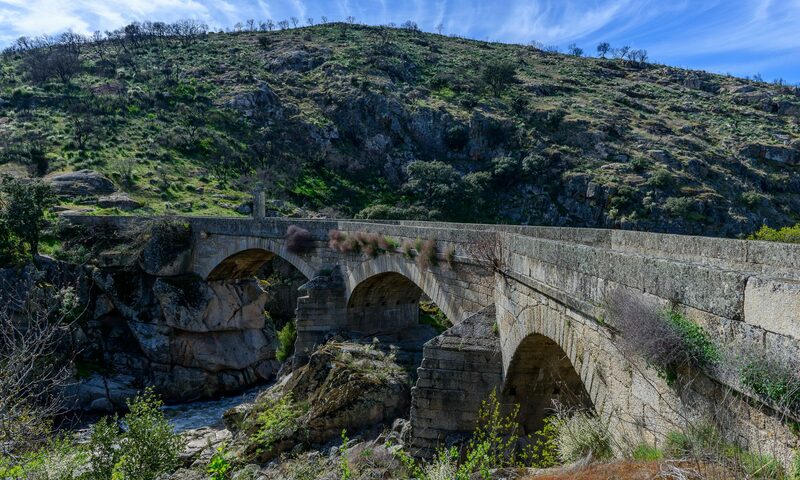 It is April, 1811 and Lord Wellington has led his army to the Spanish border where the French occupy their last stronghold in Portugal at Almeida. As the two armies face each other in the village of Fuentes de Onoro, Colonel Paul van Daan finds himself in command of a brigade and has to manage resentment at his early promotion. His young wife is carrying her first child and showing no signs of allowing her delicate situation to get in the way of her normal activities much to the disapproval of the rest of the army. With General Craufurd not back from leave and Lord Wellington’s army looking uncomfortably stretched, Paul is concerned that for once his commander-in-chief has made the wrong decision which might endanger not only the light division but the whole Allied army. And if that is not enough, Paul encounters a French colonel during battle who seems to have taken their rivalry personally with potentially lethal consequences for his brigade. Most of An Uncommon Campaign is set in and around the border village of Fuentes de Onoro. 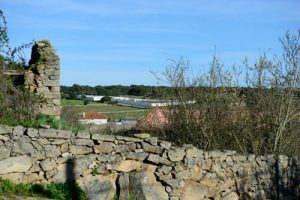 Anne and the medical staff are billeted in the village of Vilar Formoso, but we found the modern town very built up with little sense of what it might have looked like two hundred years ago. 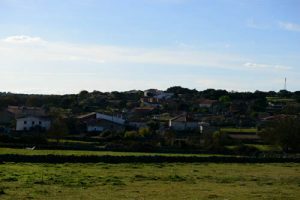 Fuentes de Onoro, in contrast, still has something of the feel of the little village which became so well known to the men of the light division that they knew every villager personally. 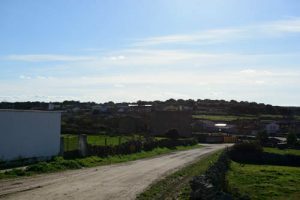 With the help of our trusty battlefield guides, we were able to work out where the French lines were and then cross the Dos Casos stream and make our way up through the village where the British waited, and then up to the ridge beyond to where Wellington ran his initially over-extended line. On the first day of fighting, much of the action was concentrated in the village which had been evacuated. The French crossed the Dos Casos and fighting went backwards and forwards through the narrow streets. At one point the British were pushed back as far as the church, where they had sent their wounded, but when reinforcements came, they were able to push the French right back over the stream. After a day of informal truce to recover the dead and wounded, Wellington found himself under attack over on the right where the seventh division held the most vulnerable part of his line. Shifting his line to a more defensible position, he sent in the light division to rescue them, which resulted in a justly famous retreat in squares under the iron leadership of General Robert Craufurd. The French withdrew after the battle, giving Wellington a nominal victory, but he felt little triumph when a brilliantly executed night move enabled the French garrison to escape from Almeida right under the noses of several of Wellington’s generals. One of the men that Wellington blamed for the fiasco was Lt-Colonel Charles Bevan, who tragically committed suicide over the perceived dishonour. 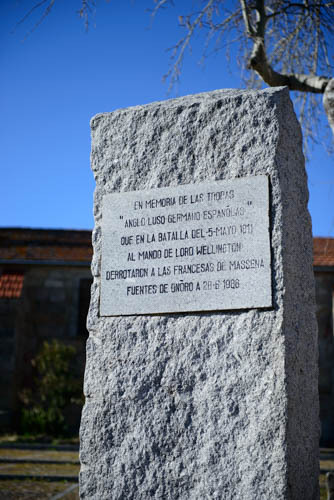 There is a memorial to him in the beautiful little English cemetery in Elvas. The bloody battle of Albuera is not directly featured in the book, although Paul arrives in time to see the aftermath. 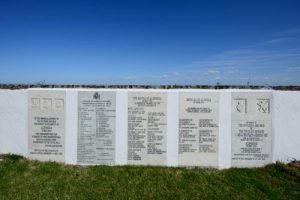 Memorials to the men who died on the field can also be found in the English cemetery. 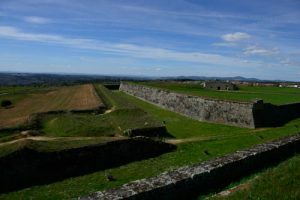 Wellington took charge of the siege of Badajoz, but on this occasion was unable to take the town. 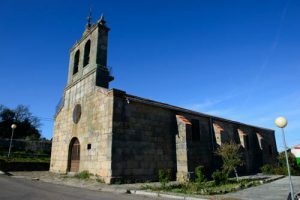 He withdrew finally, moving into winter quarters in the little Portuguese village of Freineda in this house, which he was also to use the following year after his retreat from Burgos. 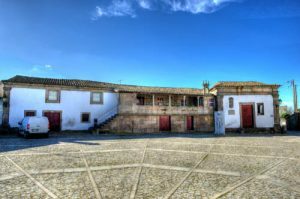 In the book, Paul’s men move into winter cantonments on a run-down estate close to Freineda, with his officers billeted in the main house. The model for this estate is a real house which has now been turned into a hotel. 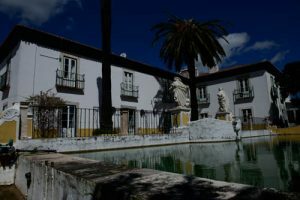 The Quinta de Santo Antonio is actually located between Badajoz and Elvas and originally dates from the seventeenth century, with much being added in the eighteenth century. 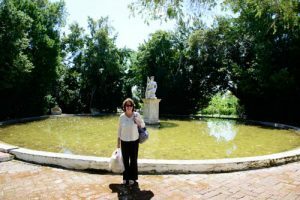 We stayed there in 2017 and I loved the house, gardens and farmland so much that I transported it in fiction towards Ciudad Rodrigo, although I have kept the original name and appearance. An Uncommon Campaign is a bit of a favourite of mine. It gave me the opportunity to delve a little into the murky waters of army politics and it is the first book in which Anne and Paul are an established married couple. It also sets up the drama of book four very nicely. I hope my readers continue to enjoy it.